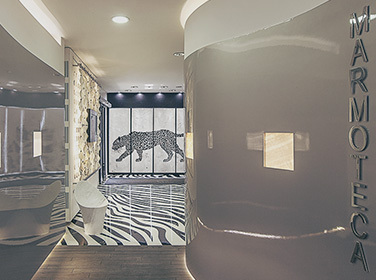 There is a distinguished philosophy that lies behind the success of MGM Stone Contract srl: appreciating the real value of the stone, made of prestige and naturalness, in order to maintain a close connection with nature, modernity and elegance. 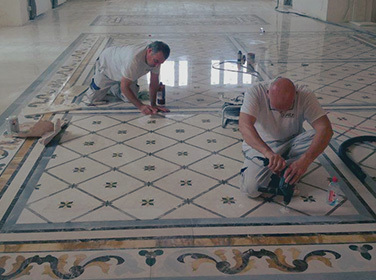 Our company relies on advanced techniques, which allow the execution of cuts and designs adopted by some of the most skilled craftsmen and architects of all times. These are at the disposal of our professionals and for the most demanding customers. 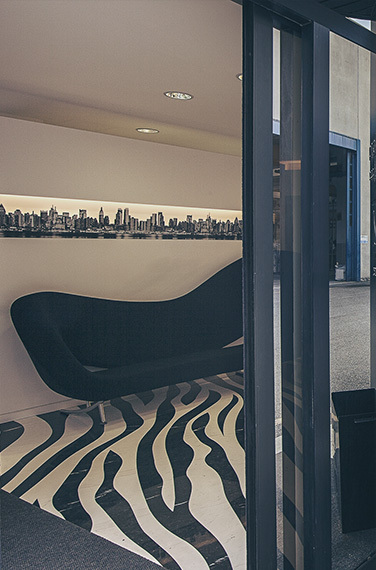 Within the company, there is a showroom through which the firm displays its ability to create a unique ambience with a combination of the prestigious processing techniques. 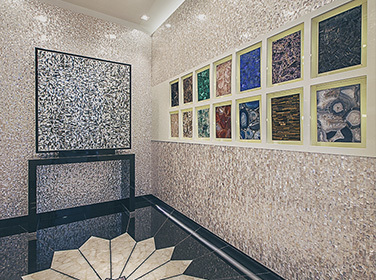 A section of the showroom is dedicated to customized environments, while the other section is dedicated to our Collections line, where backlit panels and column sinks reign supreme. Another high quality collection is represented by Marmoteca, a genuine collection of marble, stone, onyx, alabaster, mother of pearl, semi-precious stones procured from different parts of the world, created as a result of the experience of the family Guarda: more than 500 materials, catalogued and framed as absolute works of art. MGM’s production process adds up to the prestige of the materials and the timeless pinpoint precision of the craftsman who are able to tailor the most sophisticated industrial techniques to their services. 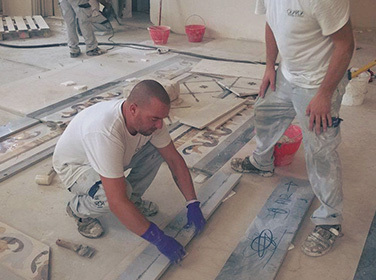 The installation is the final and major stage in the supply of the finished product which constitutes the fulfillment of the customer’s dream, hence, living the MGM Stone Contract srl experience. EACH FINISH AND DETAIL FULFILS A PROJECT’S SPECIFIC REQUIREMENT, WHICH CONTRIBUTES TO ITS FORM THROUGH A SERIES OF UNIQUE PIECES, DESIGNED SOLELY TO MAKE THE MAGICAL FEELING COME TO LIFE. Creating beauty and adapting according to the ambience. 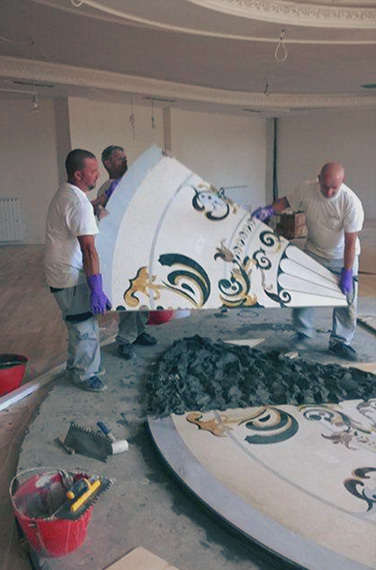 Until the marble comes to life and takes on its own identity. Art must impress and create awe. Even in everyday life.